Welcome to The Palm Market, we specialize in providing the finest quality palm trees available to the landscape industry. When you choose Palm Market to provide palm trees for your project you can be assured that our team will be handling your palm trees exclusively; from the skilled workers digging the palm trees to the artisans who shape them to maximize its natural beauty. Contact us now to become one of the many satisfied landscape companies & property owner we've helped throughout the years. No matter whether it is a small or large project, our expertise will enhance the look of your project. Call us today for a personal consultation. 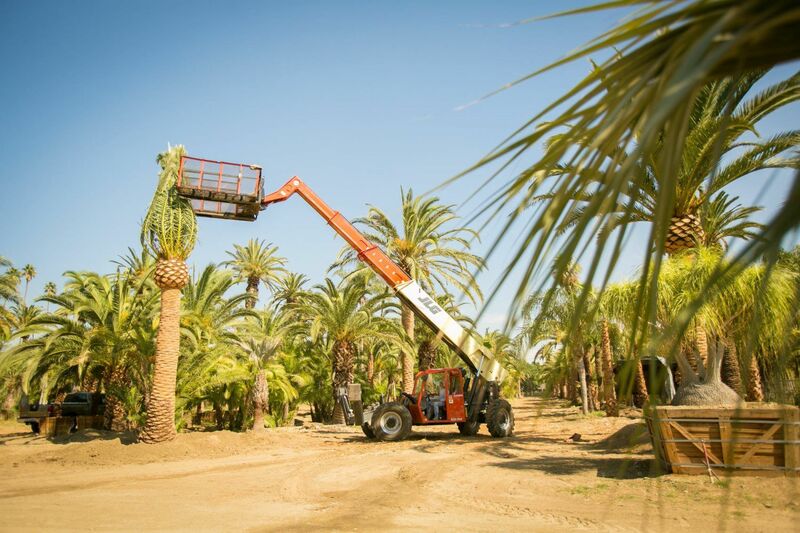 At the Palm Market we send one of our teams of skilled professionals that will remove or install the palm tree. By being careful not to damage any of the surrounding landscape, all work is guaranteed. We backfill the hole where the tree was located and haul away any trash that we generate removing the tree. A typical tree removal can be accomplished with our team "hand digging" the tree so as to minimize the impact to the surrounding landscape, we then utilize one of our cranes to lift the tree out of your yard. By working this way the "footprint" from our work is minimized and there is very little impact on your landscape or the area that surrounds the tree.